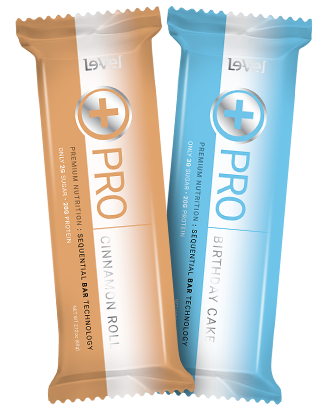 THRIVE PRO contains 20 grams of our proprietary sequential bar technology. The carbohydrate to protein ratio provides the perfect blend for an ideal snack, great for your busy schedule anytime of the day, as well as, offering the perfect pre- and post-workout solution to fuel the body for fitness and help muscles and the body recover. Bring THRIVE PRO with you in your purse, gym or golf bag, just make sure you never leave home without it. Available in delicious Cinnamon Roll, Birthday Cake, Cookies & Cream, and Lemon Meringue flavors. Give your body the premium nutrition it needs. THRIVE on with THRIVE PRO.